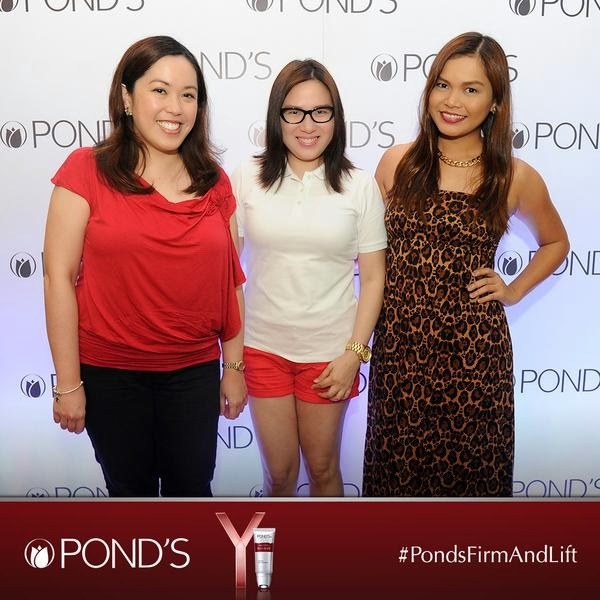 Charlene Gonzales-Muhlach is the newest Pond's Girl! Do you want to look 10 years younger? 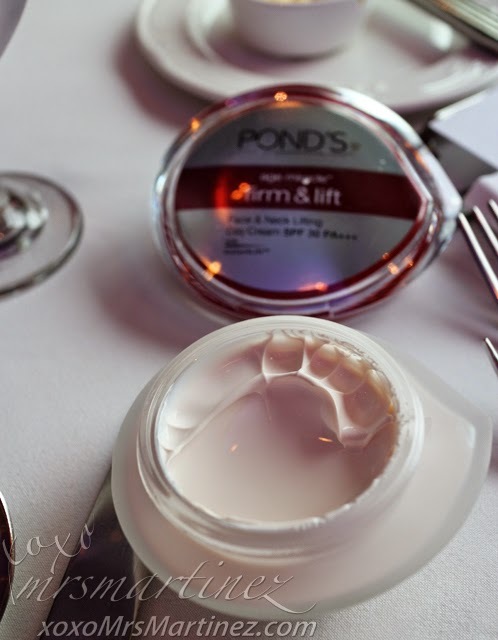 Worry no more as Pond's introduced its latest age-defying secret called Age Miracle Firm & Lift and its newest Pond's Girl yesterday in an intimate lunch at Chef Jessie, Rockwell Club. The photo shows fellow beauty bloggers, Rowena and Martha. 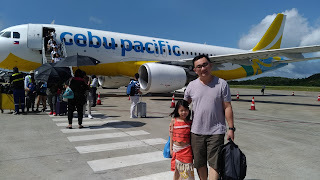 We all arrived at the same time and we were seated together for the duration of the event. It was really nice catching up with them. 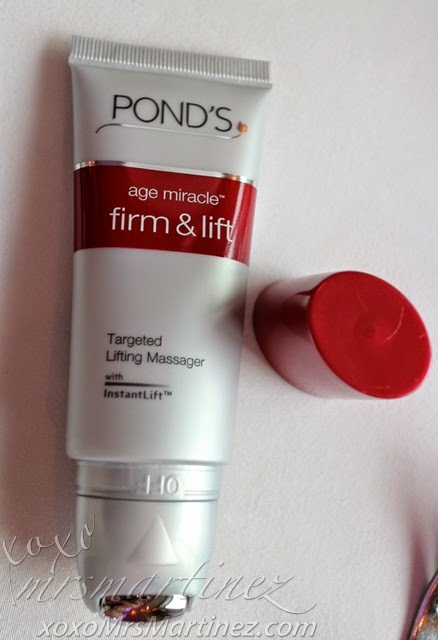 We arrived early so I was able to try out all products from Pond's Age Miracle Firm & Lift range. This new product innovation promises to make you look up to 10 years younger with a firmer, lifted Y-contour. 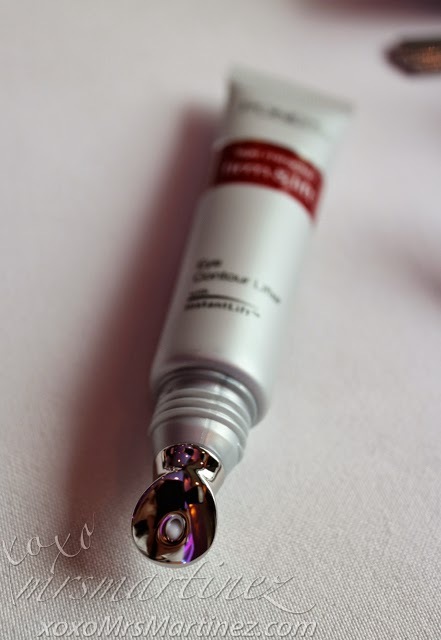 A luxurious, highly concentrated lifting cream infused with potent *InstantLift™ Complex, corrects deep lines and wrinkles and visibly lifts skin, while providing both UVA and UVB superior sun protection. 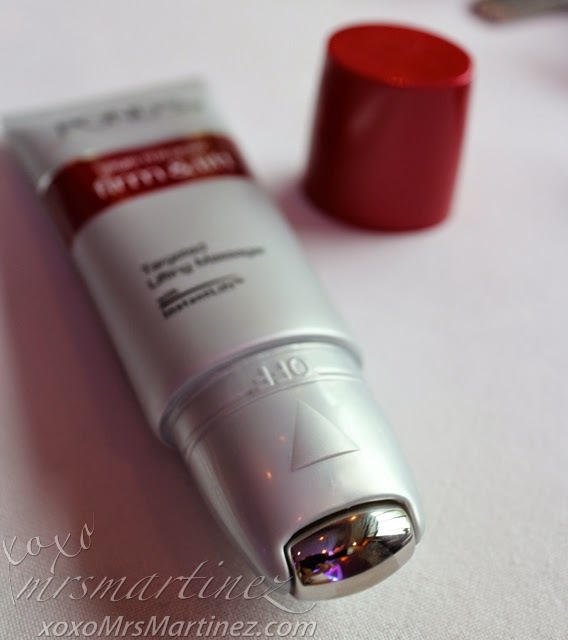 A silky eye cream packed in a handy tube with a unique cooling applicator head, it’s specifically designed for effective product delivery and easy application under and around the eye contours. 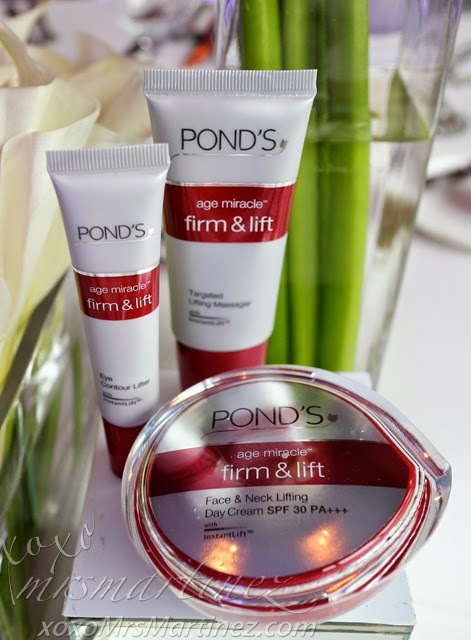 Pond's Age Miracle Firm & Lift Eye Contour Lifter is lighter when compared with Pond's Age Miracle Firm & Lift Face & Neck Lifting Day Cream SPF 30 PA+++(bottom) which is highly concentrated. 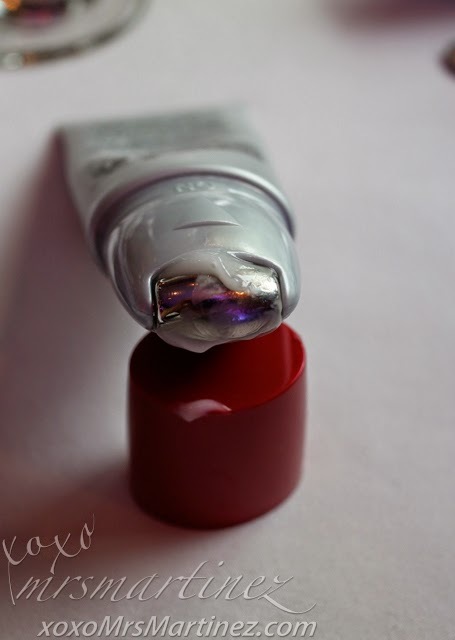 With Titanium Dioxide listed as one of its main ingredients, you can be assured that you are getting the right amount of sun protection with every use of this product. 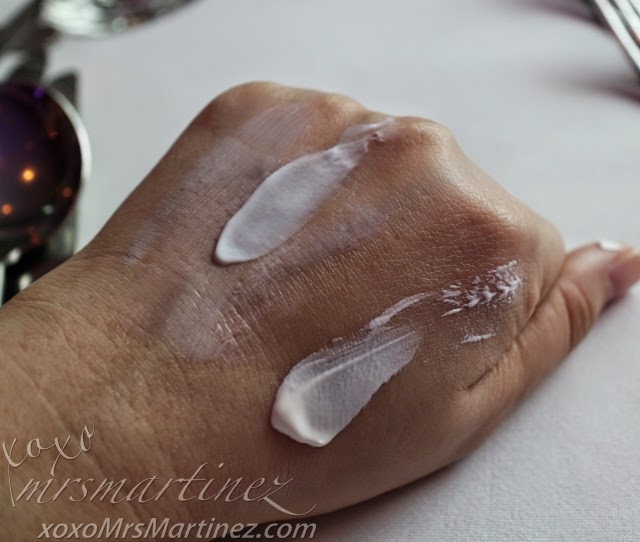 Both products are easily absorb by the skin and lightly-scented. 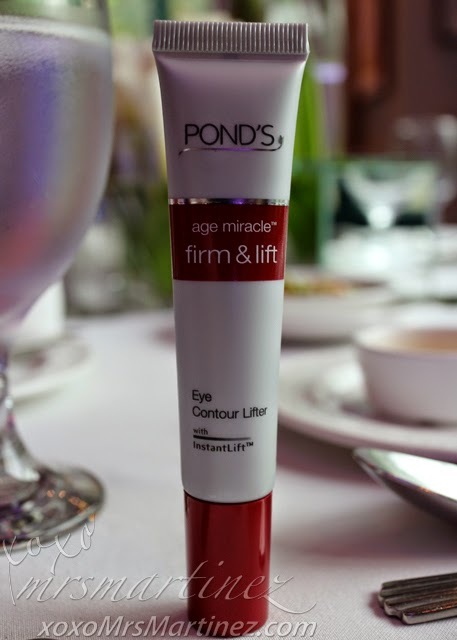 Breakthrough discovery from the Pond’s Institute, this is a fast-acting treatment infused with advanced *InstantLift™ Complex to firm and lift your Y-Contour so you can look up to 10 years younger. It comes with a unique cooling, roll-on massage applicator to help precisely target and firm skin around the jawline and neck by up to 8%. *An advanced combination of two potent ingredients, Polyimide and Lipodipeptide, that strengthen and tighten fibers from the inside to reveal a firmer and lifted Y-Contour on the outside. I was not able to take a photo with Charlene because I have to rush to another meeting. I hope I will get a chance next time!